It really doesn't take a whole lot to get in it an effective and efficient workout, and our clients need to know that they can still exercise even when they aren’t training with us or taking a class. In fact, with just a couple of dumbbells and a mat, your clients can perform an efficient workout just about anywhere. 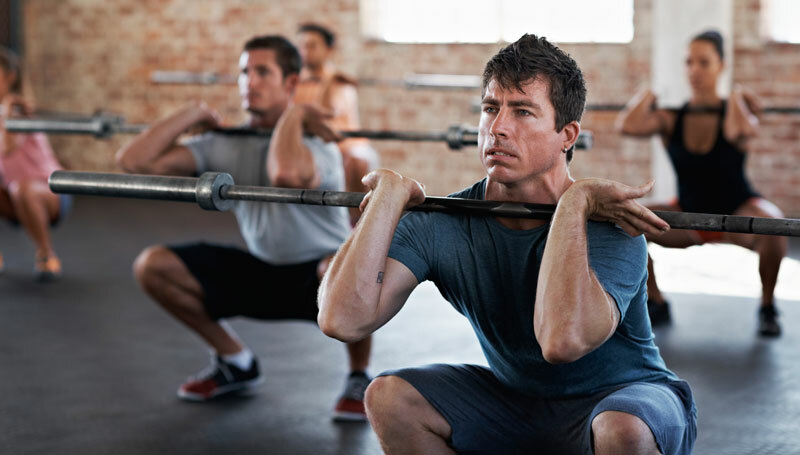 To get the most out of this minimalistic approach, it is important that your clients embrace the mindset of pushing hard, moving quickly between exercises, resting when feeling fatigued, and returning back to the exercises when ready. The goal of this type of training is to get to fatigue, and failing is acceptable. That sounds a little silly right? However, when your clients push beyond their comfort zones, when they knock out that last rep or two, they are forcing their bodies to change and grow. When designing a dumbbell and mat workout, try choosing three exercises for a specific body part (or two) and repeat this format for three different circuits. Incorporate compound movements that hit multiple muscle groups in one exercise (e.g., a squat with a shoulder press or a push up with a dumbbell row). 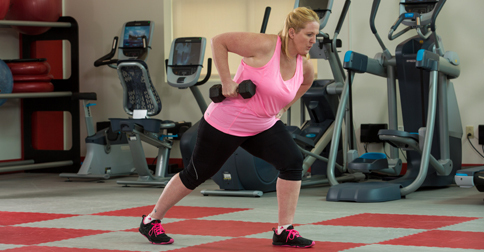 If your clients have access to more than one pair of dumbbells, encourage them to start with heavier dumbbells and, as form diminishes, switch to the lighter dumbbells. And tell them to not be afraid to ditch the dumbbells entirely when they start to fatigue or their form starts to decline. Encourage your clients to move quickly from exercise to exercise, resting as needed, and returning to the workout when ready. They shouldn’t be afraid to push themselves beyond their comfort zones. Be sure to check out ACE’s Exercise Library: Dumbbell Exercises for more examples and ideas on how to create multiple dumbbell and mat workouts. 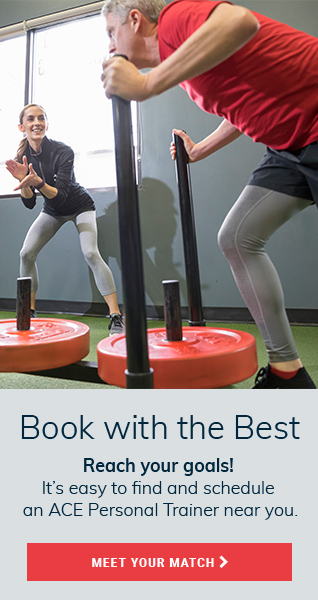 The intensity, variety and efficiency of these simple and effective workouts will help your clients stay interested and motivated, and help them you achieve their health and fitness goals.